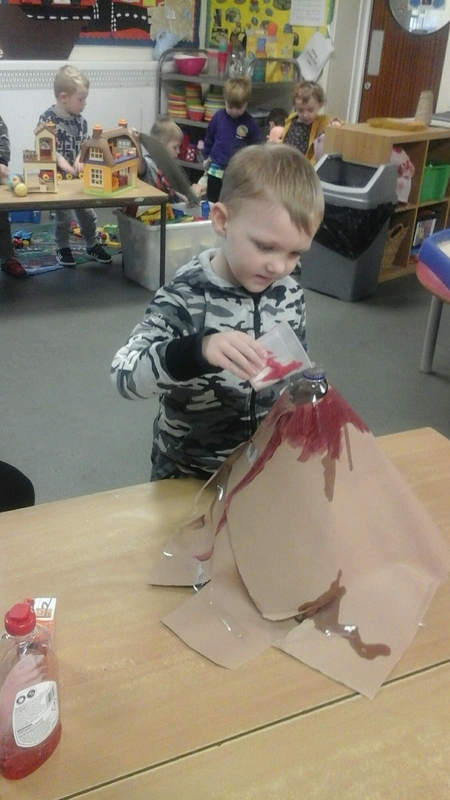 Pre-School have been very interested in exploring everything about volcanoes, so today we tried a mini science experiment to create our own! 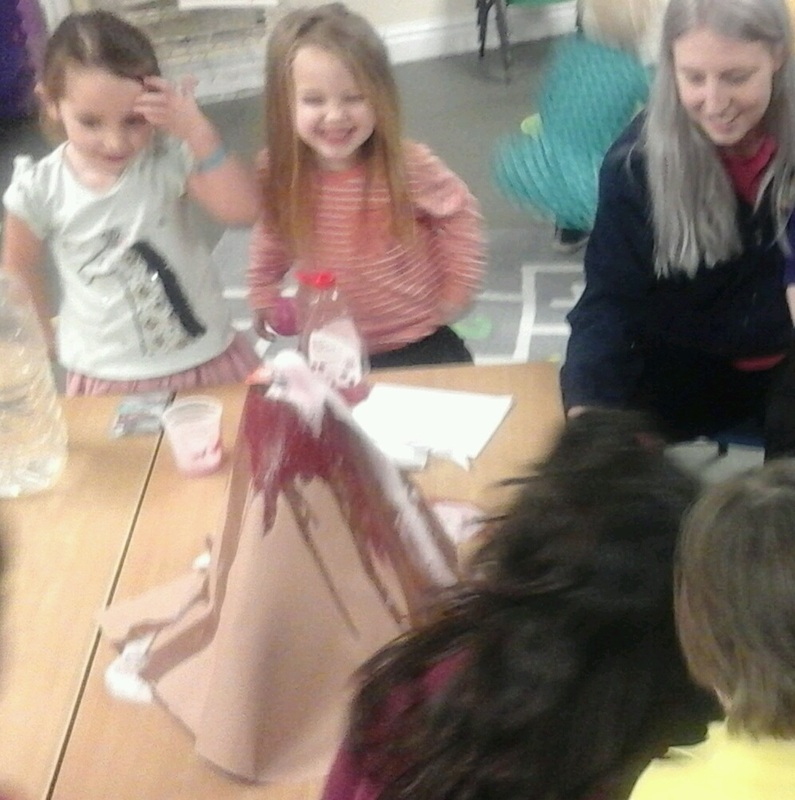 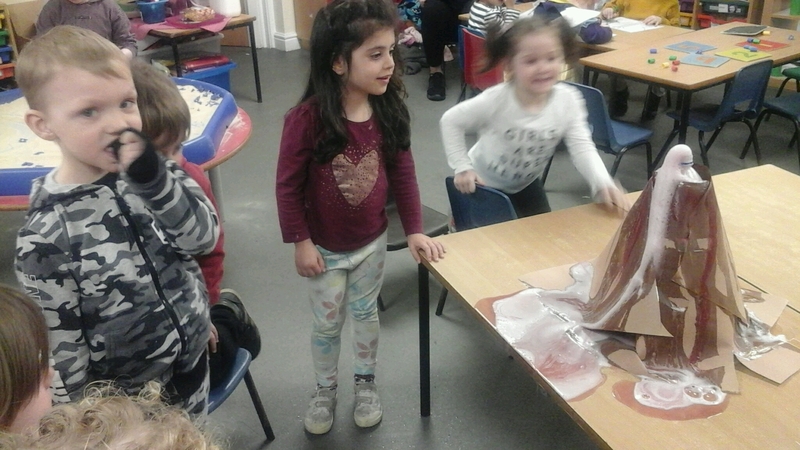 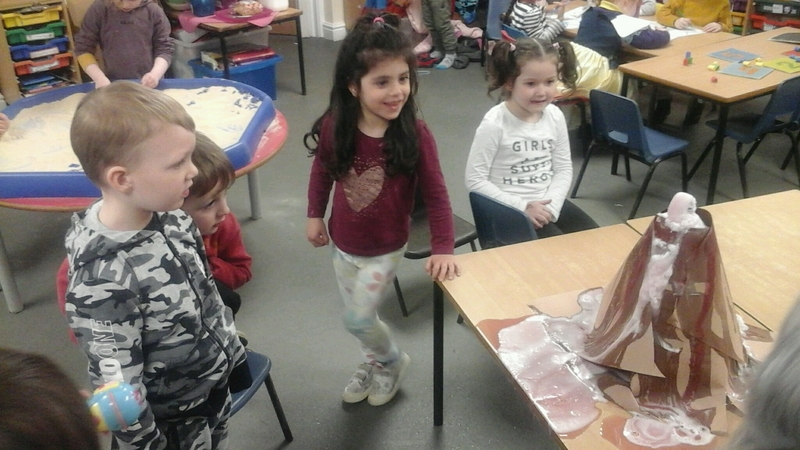 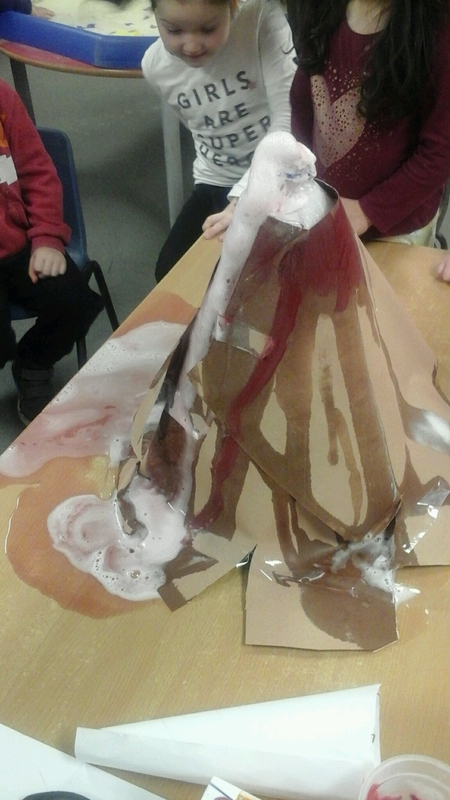 The children enjoyed adding different ingredients together to make the Volcano, and watched in wonder as it ‘erupted’ leaving a trail of ‘lava’! 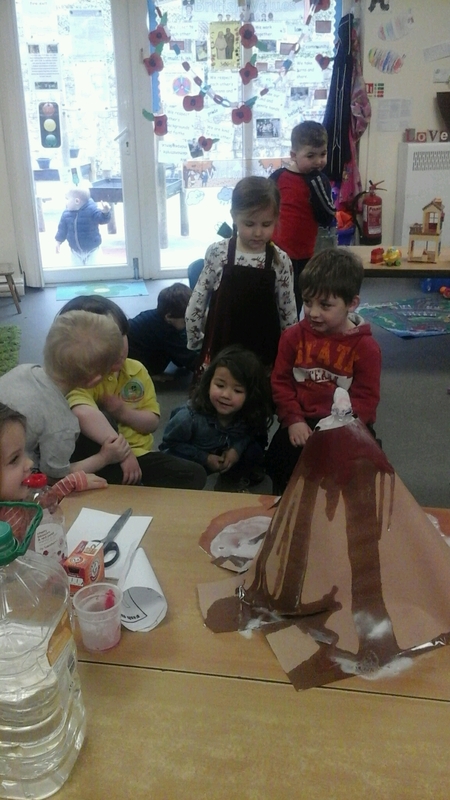 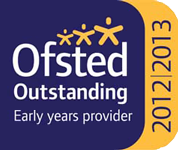 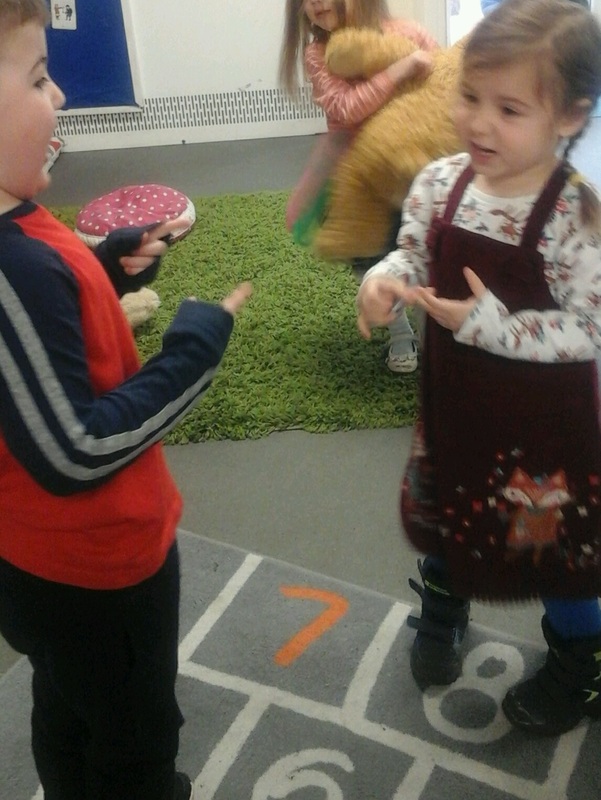 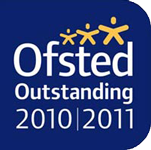 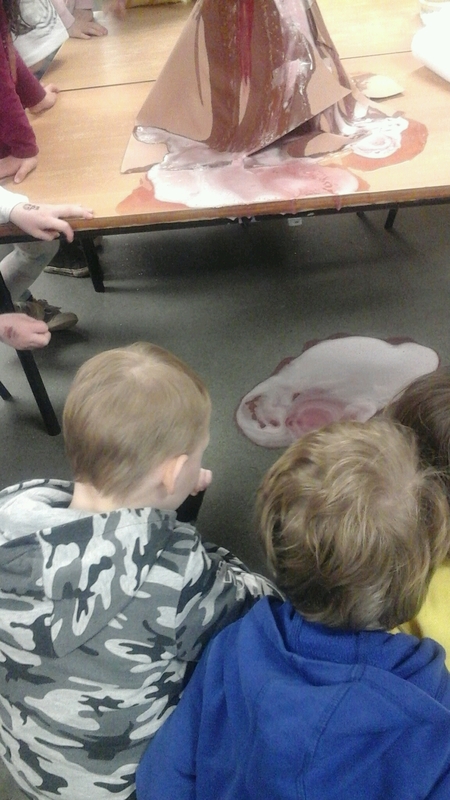 The eruption led for some very interesting conversations around the Pre-School room.